The Association of Business Executives was established in 1973. We are a not-for-profit organisation which provides internationally recognised professional qualifications, powerful learning tools and a worldwide membership network for people starting their career, to professionals refining their leadership skills. With an emphasis on emerging economies, we are proud of our first-mover heritage and our ongoing commitment to help our members embrace the challenges of a dynamic, unpredictable and more connected world. ABE operates across more than 40 countries, with a strong focus on Commonwealth nations. 1.5 million people have mastered essential practical business skills through ABE’s active learning programmes. We continue to play a vital role in helping to diversify and grow economies through strengthening economic capacity and reducing inequality within and among countries. We work with communities, schools, governments, employers and NGOs on initiatives that help to build a global workplace, with shared values, ethical business practices and international standards. Our global-local approach means that our teams are embedded in countries around the world, ensuring effective project delivery that’s integrated with regional priorities. We continuously invest in research and development, and through our experience with international employers and learners, our credentials always reflect the very latest business concepts, helping thousands of people each year to find decent work, progress their career or start their own enterprise. Akwa Ibom is a state in the Niger Delta geo-political zone of Nigeria. Akwa Ibom is one of Nigeria’s 36 states, with a population of over 5 million people. It was created in 1987 and is the highest oil and gas-producing State in the country. The State has comparative advantage in agriculture, tourism, maritime and the hospitality industry. Akwa Ibom is blessed with world class road network and other modern infrastructural amenities. It has a functional Airport, a 30,000 capacity stadium, the largest Golf Resort East of the Niger and luxurious hotels, including Le Meridien and Four Point by Sheraton. With the proposed construction of Ibom Deep Seaport, the State is primed to become the maritime hub of the Gulf of Guinea. The Governor of the State is Udom Emmanuel, a seasoned Financial Services and Corporate Governance expert. He was elected Governor on April 11, 2015. Cameroon National Shippers’ Council is a Public Agency created by Decree n° 75/118 of 21 January 1975 and reorganized by Decree n° 78/052 of 12 February 1978, restructured by Decree n° 98/311 of 9 December 1998. Enable each shipper to perform import and export operations with ease regardless of the mode of transport chosen and at an optimal cost. Providing assistance to and protecting the interests of shippers with a view to contributing to the promotion of international trade. The main objective of the CNSC is to fulfil these missions while its permanent challenge is to meet the expectations of shippers. In order to achieve these objectives, the CNSC carries out field actions such as training, information, studies and counselling, negotiations and the construction of infrastructures. Over the last ten years, we have stepped up our activities and made significant investments for the benefit of shippers. These include and are not limited to the creation of new services, the opening of CNSC’s country office in Paris-France and regional offices in the port cities of Kribi and Limbe, the construction and operationalization of cargo warehouses within the ports of Douala, Kribi and Tiko Wharf and the undergoing construction of the Douala-Ndjamena corridor trucker accommodation centres. All these achievements and many others make the CNSC a key player in international trade and trade facilitation. In 2006 the name was changed from Corporation of London to avoid confusion with the wider London local government, the Greater London Authority. The corporation is the world’s oldest continuously elected local government body. Both businesses and residents of the City, or “Square Mile”, are entitled to vote in elections, and in addition to its functions as the local authority – analogous to those undertaken by the boroughs that administer the rest of London – it takes responsibility for supporting the financial services industry and representing its interests. 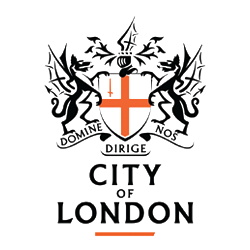 The corporation’s structure includes the Lord Mayor, the Court of Aldermen, the Court of Common Council, and the Freemen and Livery of the City. Commonwealth organisations are involved in diverse activities, from helping countries with trade negotiations to encouraging women’s leadership, building the small business sector, supporting youth participation at all levels of society and providing experts to write laws. The Commonwealth Fund for Technical Co-operation (CFTC) was set-up in 1971 and is the principal means for the Commonwealth Secretariat to provide technical assistance to Commonwealth countries. Our approach emphasises country ownership by delivering technical assistance on a demand-driven basis. As India’s premier business association with a network of 66 offices including 9 Centres of Excellence in India, and 7 overseas offices in Australia, China, Egypt, France, Singapore, UK, and USA, as well as institutional partnerships with over 300 counterpart organizations in 106 countries, CII serves as a reference point for Indian industry and the international business community. Established 90 years ago, FICCI is the largest and oldest apex business organization in India. Its history is closely interwoven with India’s struggle for independence, its industrialization, and its emergence as one of the most rapidly growing global economies. A non-government, not-for-profit organization, FICCI is the voice of India’s business and industry. From influencing policy to encouraging debate, engaging with policy makers and civil society, FICCI articulates the views and concerns of industry, reaching out to over 2,50,000 companies. FICCI serves its members from large (domestic and global companies) and MSME sectors as well as the public sector, drawing its strength from diverse regional chambers of commerce and industry. The Chamber with its presence in 14 states and 10 countries provides a platform for networking and consensus-building within and across sectors and is the first port of call for Indian industry, policy makers and the international business community. FSD Africa is a non-profit company which aims to increase prosperity, create jobs and reduce poverty by bringing about a transformation in financial markets in SSA and in the economies they serve. It provides know-how and capital to champions of change whose ideas, influence and actions will make finance more useful to African businesses and households. Through access to finance initiatives, it seeks to build financial inclusion. Through capital market development, it looks to promote economic growth and increase investment. As a regional programme, it seeks to encourage collaboration, knowledge transfer and other market-building activities. FSD Africa is funded by UK aid from the UK government. Gibraltar has been British since 1704. Under the Gibraltar Constitution Order of 2006, Gibraltar has full internal self-governance on all issues except foreign affairs, defence and certain internal security issues for which the United Kingdom is responsible. The unicameral parliament is elected for a term of up to four years and consists of 17 elected members, and the Speaker. The cabinet of Her Majesty’s Government of Gibraltar consists of 10 elected members. Gibraltar’s head of state is the British monarch, currently Queen Elizabeth II, who is represented by the Governor of Gibraltar. Up to 15,000 EU workers, half of them Spanish, cross from Spain to ‘the Rock’ each day and are employed in a wide range of professional and service sectors. In recent years, Gibraltar has seen major structural change from a public to a private sector economy, but changes in government spending still have a major impact on the level of employment. The financial sector, tourism, gaming revenues, shipping services fees, and duties on consumer goods also generate Government revenue. The financial sector, tourism, shipping and e-gaming are the main economic sectors. Gibraltar’s GDP per capita is £56,612, according to the official budget in 2017. The Bailiwick of Guernsey comprises three separate jurisdictions: Guernsey, Alderney and Sark. Guernsey is the largest, and most populous island in the Bailiwick. There are close constitutional, cultural and economic links between the islands and the parliaments work closely together. Guernsey’s parliament is the States of Deliberation and consists of 38 democratically elected Guernsey members and two elected Alderney representatives, and it has legislative competence. The government consists of a senior committee and six principal committees. Guernsey has fiscal autonomy, raising its own taxes in order to fund its public services, and it does not receive funding from the UK or the EU. It is not part of the UK, but its citizens have British nationality, and Guernsey is a member of the British-Irish Council. Guernsey is also an active member of the Commonwealth Parliamentary Association. Guernsey has a diverse economy, a strong financial services sector with an international reputation, and is part of the sterling zone. It adheres to international standards such as in financial stability and probity, tax transparency and information exchange, and data protection. Jersey is a British Crown Dependency located near to the coast of Normandy, France. Jersey was part of the Duchy of Normandy, whose dukes went on to become kings of England from 1066. After Normandy was lost by the kings of England in the 13th century, and the ducal title surrendered to France, Jersey and the other Channel Islands remained attached to the English crown. Jersey has its own Government and Parliament and is autonomous on all domestic matters. On behalf of the British Crown, the UK Government is responsible for the Island’s defence and, as a matter of international law, our foreign affairs. The Island is not represented in the UK Parliament, which does not legislate for Jersey without its consent. Jersey is one of the world’s leading international finance centres, with the financial and professional services sector employing just over 20% of the Island’s workforce. The Island’s reputation for political and economic stability, reliability and high levels of service and expertise help to attract capital from across the world. This in turn is often invested into the UK and Europe, supporting jobs and growth. Jersey has long been a much loved destination for tourists from the UK, Europe and further afield. Over 700,000 visitors a year are drawn to the Island by its stunning natural environment, historic sites and fabulous food. The Island’s traditional industries of agricultural and fisheries sectors are perhaps best known for the famous Jersey Cow, the Jersey Royal potato and world renowned seafood and shellfish. Around 30,000 tonnes of Jersey Royals are exported each year, mostly to the UK. Jersey also produces over 1500 tonnes of oysters, the majority of which are exported to France for onward transmission across the EU. The Island has a growing digital and tech sector, currently employing over 2,500 people, underpinned by the roll out of 1Gb fibre broadband which – along with a comprehensive 4G network – makes Jersey one of the best connected jurisdictions in the world. Invest Cyprus is a member of the World Association of Investment Promotion Agencies (WAIPA) and the Mediterranean Investment Network, ANIMA. Severis Building, 9 Makariou III Ave. Invest Turks and Caicos bridges the gap between the business community, government and investment opportunities. Our team provides free and confidential advice and support, helping investors navigate the path to successful business operations in the islands. Operating as a statutory body, with oversight by the Ministry of Finance, Trade and Investment, Invest Turks and Caicos was established in 2015 as the principal investment promotion agency for the islands with a specific mandate to promote and facilitate trade and investment, public-private partnership and other forms of commercial alliances, encourage domestic entrepreneurship, innovation and capital formation, and generally to liaise with government agencies and the private sector to streamline the investment process. We work actively to support the growth of local businesses, including the management and delivery of the Micro Small and Medium Enterprise programme which provides concessions and other support to locally owned businesses. Located in the Irish Sea at the centre of the British Isles, the Isle of Man is a resilient and resourceful country with a distinct national identity, independent spirit and strong sense of community loyalty. As a self-governing British Crown Dependency with its own parliament, government and laws the Island has strong political, business, cultural and historical ties to the United Kingdom and the wider Commonwealth family. HM The Queen, as ‘Lord of Mann’, is the Manx Head of State. Home to 84,000 people, the Isle of Man is the first entire nation to be awarded UNESCO status as a Biosphere Reserve. The designation, recognising the Island as a “special place for people and nature”, applauds our ability to use our natural assets sustainably in support of a progressive economy. It is an international business centre known for its innovation, entrepreneurialism and long-standing policy of positive engagement with international initiatives and standards. Well-known for its financial services industry the Isle of Man has successfully encouraged the diversification of its economy into other sectors including business aviation services, aerospace, offshore energy and clean tech, e-business and e-gaming, ICT, food and drink production, general manufacturing, ship and yacht management and tourism. What is known today as the Nigerian Shippers’ Council was established in 1978 by Decree 13 now Cap.133LFN, 2004 and vested with the responsibility of protecting the interest of Nigerian Shippers i.e. importers and exporters. Prior to this period, there was total deterioration in the quality of shipping services and unmitigated increase in ocean freight rates by foreign ship owners that operated scheduled liner services to Nigerian Ports. Consequently, the affected shippers had no collective means of ascertaining the quantum and quality of services offered them, nor were they guaranteed adequacy of shipping space. The Nigerian Shippers’ Council therefore, was formed to defend and represent the interest of shippers throughout the transport chain by ensuring that the shipment of goods to and fro Nigeria is done under the most reliable, safe and economical arrangements favourable to shippers. However, in 2014, and following the concessioning of the Ports in 2006, aimed at making the Nigerian Ports effective and efficient in line with global trend and best practices, the government further pronounced the Nigerian Shippers’ Council as the port economic regulator. This added responsibility to the Council is aimed at instituting an effective regulatory regime at the Nigerian Ports for enhanced efficiency and to address the negative impact of concession activities on the economy due to absence of an economic regulator. The Employers’ Federation of Pakistan, known simply as EFP, is a non-profit entity which was established in 1950, under the Companies Ordinance 1984. Since then, the EFP has risen to prominence as the only ‘body of employers’ in Pakistan that is not only a member of the International Organization of Employers (IOE), but also affiliated with the Confederation of AsiaPacific Employers (CAPE), as well as, the South Asian Forum of Employers (SAFE). Statistically, the total outreach of EFP, through a base of over 1000 member organizations, and 28 leading chambers and industrial associations, stands at a record 2.5 million Pakistani workers. Led by the current president, Mr. Majyd Aziz, the EFP is a tripartite constituent of International Labour Organization (ILO), and with it, carries the statutory mandate to bridge the communication gap between various business entities, stakeholders, social partners, and the government, in an effort to draft policies aimed at promoting the welfare of Pakistan. These policies are primarily directed at tackling various issues related to underemployment, poverty, abuse of workers’ rights, and a host socio- and macro-economic problems prevalent in the industrial, agricultural, and services sectors of the Pakistani economy. In lieu of its unwavering commitments to stimulate the general well-being of the country, and in acting as a linchpin to strengthen the bilateral ties of Pakistan with her trading partners, the EFP recently inaugurated an Economic Council. This EFP Economic Council (EFP-EC), chaired by Mr. Ismail Suttar, and under his new mantra of, “industrialization on war footing”, has set a prime goal to not only tap the countless technological frontiers but also exploit the talent-rich pool of youth to successfully push Pakistan to its next stage of industrialization. Achieving this goal, it firmly believes, shall ensure a thriving future for Pakistan, in terms of both socio and economic prosperity.